Elton John: I’m Still Standing – A Grammy Salute is airing Tuesday, April 10th from 9-11 pm ET/PT on CBS. The concert showcases Alessia Cara, Miley Cyrus, Kesha, Lady Gaga, Miranda Lambert, John Legend, Little Big Town, Chris Martin, Shawn Mendes, Maren Morris, Ed Sheeran, Sam Smith, and SZA performing classic songs from John’s impressive music catalog with longtime co-writer Bernie Taupin. Special appearances include Jon Batiste, Neil Patrick Harris, Christopher Jackson, Anna Kendrick, Gayle King, Lucy Liu, Valerie Simpson, and Hailee Steinfeld. John will also perform a medley of hits. The live concert was filmed Tuesday, January 30th at The Theater at Madison Square Garden, two days after the 60th Annual Grammy Awards. 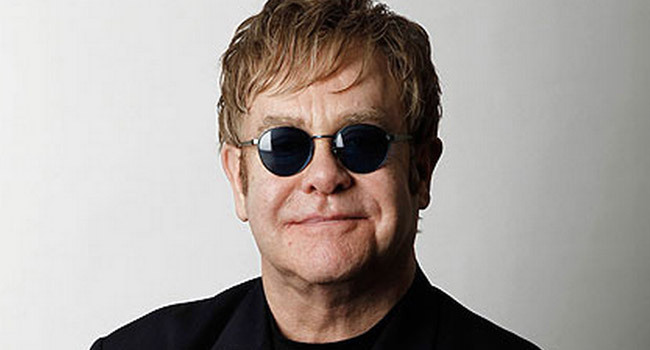 Elton John: I’m Still Standing–A GRAMMY Salute continues the tradition of previous Emmy-winning TV specials presented by CBS, the Recording Academy, and AEG Ehrlich Ventures, including Sinatra 100—An All-Star GRAMMY Concert, Stevie Wonder: Songs In The Key Of Life—An All-Star GRAMMY Salute, The Beatles: The Night That Changed America—A GRAMMY Salute, and Stayin’ Alive: A GRAMMY Salute To The Music Of The Bee Gees. In January, John announced that he’s embarking on a three year final world tour later this year. The Farewell Yellow Brick Road Tour will kick off in Allentown, PA in September 2018 and run 300 dates through 2021. Dates through March 2019 are set for Canada and the United States before trekking to Europe in May and June 2019, Asia in November 2019, Australia in December 2019 into 2020, South America in March 2020, and returning to Europe and the UK in late 2020 before wrapping in North America in 2021.